The radicalization of Anders Behring Breivik, the terrorist who slaughtered 77 people in Norway, didn’t occur in a vacuum. Like Timothy McVeigh, who was inspired by the writings of a neo-Nazi leader to bomb the Oklahoma City federal building, Breivik was heavily influenced by a cacophony of extremist voices decrying the supposed takeover of the Western world by Islamic fundamentalists. Breivik saw himself as a Christian warrior in the midst of what he called an “existential conflict” with Islam – a modern knight confronting foreign hordes at the gates of the West. His 1,500-page manifesto, titled “2083: A European Declaration of Independence” and released just hours before the July 22 massacre, is a call to arms against “cultural Marxism” — a term describing the white nationalist notion that multiculturalists are working to destroy Western civilization. “We are sick and tired of feeling like strangers in our own lands, of being mugged, raped, stabbed, harassed and even killed by violent gangs of Muslim thugs, yet being accused of ‘racism and xenophobia,’” Breivik wrote. Most of his inspiration seems to have been derived from a small but influential group of American “experts” who have waged a populist campaign of vilification – not only against the threat of Islamic terrorism but also against Muslims in general. Their frequently inflammatory rhetoric invokes fear among many on the political right that Islamic fundamentalists are on the verge of trampling the U.S. Constitution and imposing a caliphate guided by Shariah law. In his manifesto, Breivik quotes figures such as Pamela Geller, a Manhattan socialite who rose to prominence for her vitriolic opposition to the Park51 mosque near the site of the 9/11 attacks in Manhattan, and Andrew Bostom, an American doctor who has written extensively about the intersection of jihad and anti-Semitism. But among those inspiring Breivik, none seem to have been as influential as Robert Spencer, co-founder with Geller of Stop Islamization of America (SIOA) and the administrator of Jihad Watch, an Internet portal that attacks Muslims under the banner of news and analysis. 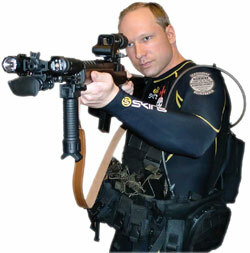 Breivik references Spencer dozens of times and suggests that he should win the Nobel Peace Prize. “About Islam I recommend essentially everything written by Robert Spencer,” Breivik wrote. 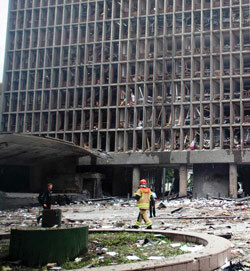 Breivik’s fear of multiculturalism reflects a broader trend. On both sides of the Atlantic, nationalist fevers are rising amid changing demographics brought on, mainly, by immigration. In Europe, the targets of radical-right extremists are typically Muslims because they make up a large share of European immigrants. In the U.S., until recently, nativist rage has been directed mostly at Latinos and Latino immigrants. What ties, if any, that Breivik may have had with extremist groups in Europe remained unclear in the immediate aftermath of the attacks. The Daily Telegraph of Great Britain reported that Breivik sent his manifesto to more than 1,000 contacts an hour before he began his rampage with the bombing of a government building in Oslo. Those receiving the manifesto included the anti-Muslim English Defence League and Combat 18, a neo-Nazi skinhead group. 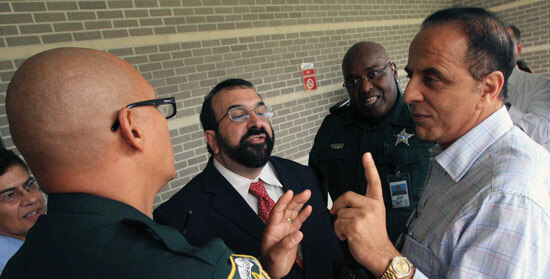 In the U.S., anti-Muslim activists angrily denied any connection between their incessant demonization of Muslims and Breivik’s acts of terror. As much as Spencer would like to think that, there were no messages in “Helter Skelter” that could possibly be construed as portraying actress Sharon Tate and four others murdered by Manson’s followers as an existential threat. The same cannot be said of Jihad Watch. As shocking as that is, already some white nationalists and prominent conservatives, including columnist and MSNBC contributor Pat Buchanan, have defended Breivik’s ideas in spite of the bloody aftermath that has left Norway reeling. To them, terrorists like Breivik are not the threat – Muslims are. Such support for the ideology of a terrorist, from such an influential U.S. commentator, may only embolden others who share Breivik’s view of an existential threat to his culture. We need only look at Norway or Oklahoma City to see the likely results.